Let us manage your light commercial needs. Our dedicated staff provides full-service maintenance to ensure effective on-going system operation and quick repair when necessary. Our commercial Preventive Maintenance programs provide customers with seasonal maintenance, service discounts, priority scheduling and peace of mind. 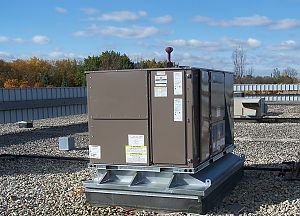 We provide full HVAC system installation as well as replacement units in existing systems.